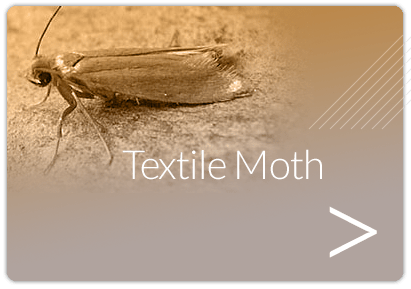 Moth Pest Control London covers treatments for Textile pests including common clothes moth, case bearing clothes moths, brown house moths and the warehouse moth. It is the clothe moth larva that causes the damage and not the clothes moth itself. Textile pests also include carpet beetles and fur beetles where the beetle larva is called the woolly bear. The carpet moths and beetles are a significant threat to clothes, woollen carpets, furnishings and expensive textile collections. Textile moth pest control London is becoming one of the most common pest control treatments carried out by Beaver Pest Control. Moth Pest Control London also covers infestations of moths commonly called Stored product insects (SPIs). These include flour moths, Indian meal moth, white shouldered house moths and the tropical warehouse moth. 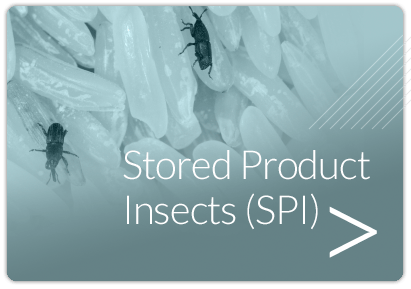 Store product insects or S.P.I. are so called because they infest and damage dried processed food products such as grain, meal, semolina and flour. This can occur during production or even in the retail outlet by the moth caterpillar chewing its way into the packets or sacks. Experience in moth pest control London is very important when implementing SPI moth control and textile moth pest control. 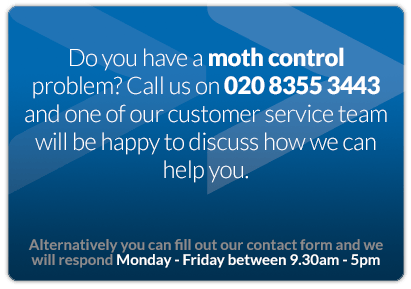 Without the correct identification of the moth species you could end up paying someone to carry out moth pest control in the wrong area of your domestic house. We recommend you use a pest control company such as Beaver Pest Control London. We can then also advise you on how you can prevent future moth problems. The adult moths lay eggs in dark undisturbed places in the actual food. 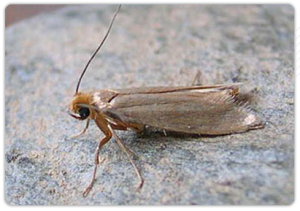 For food moths, or SPI, the infested food may be in your food store or pantry. For textile insects the desired food may be in a birds nest or your woollen carpet behind the bed. The larvae of textile pests are the only insects that can digest the very tough protein called keratin that is found in all natural animal fibres such as wool, feathers, leather and fur. SPI are pests that are associated primarily with grain and pulse products such as wheat, barley, flour, lentils, bread, cakes, biscuits, porridge oats, semolina and cornmeal but may even infest such unlikely products as curry powder. The most common stored product moths include the Flour Moth, Warehouse Moth, White Shouldered House Moth and the Indian Meal Moth. There are also stored product beetles and mites that you cannot even see with the naked eye. For more information please see our section on Beetles. Pick your specific insect problem!